Watch out Damien Hirst – Yves Klein has Armani on his side! When I changed my FB status this week to “in a relationship” (long, long overdue), I received a throng of “likes.” Little did GAD know that I was really talking about Yves Klein, my official Fall 2011 boyfriend, artist of the moment, and heart throb in a bow tie. Very rarely do I find any sort of intellectual resonance in fashion. And that is, in large part, why I like it so much. No Heidegger lurking in Vogue. 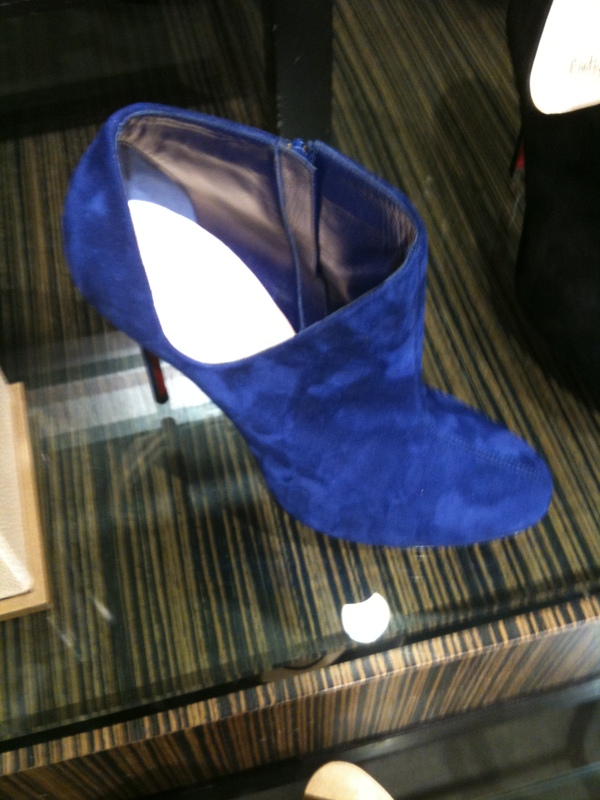 No Jean-Jeacques Rousseau at Neimans. (Damn! I just talk about fashion, JJR and Marie Antoinette this week!) 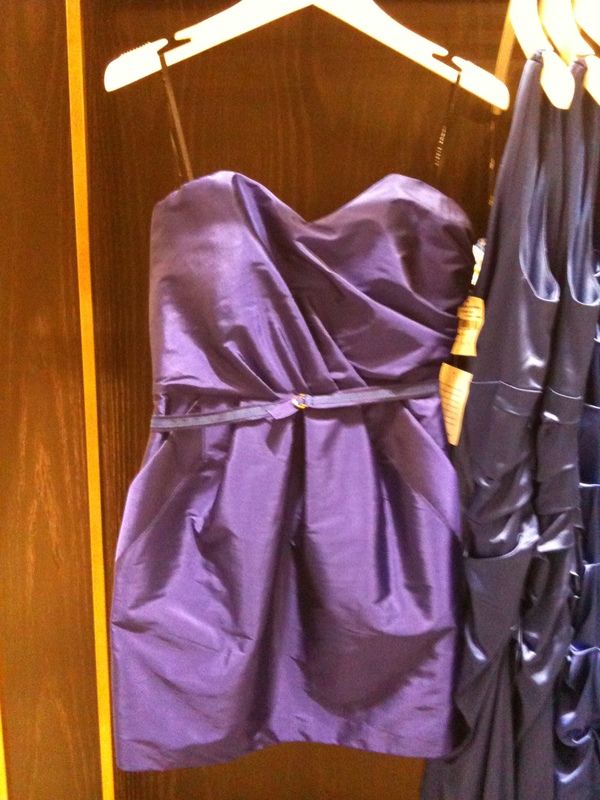 But Klein as an artist-turned color – turned fashion inspiration is really interesting to me. 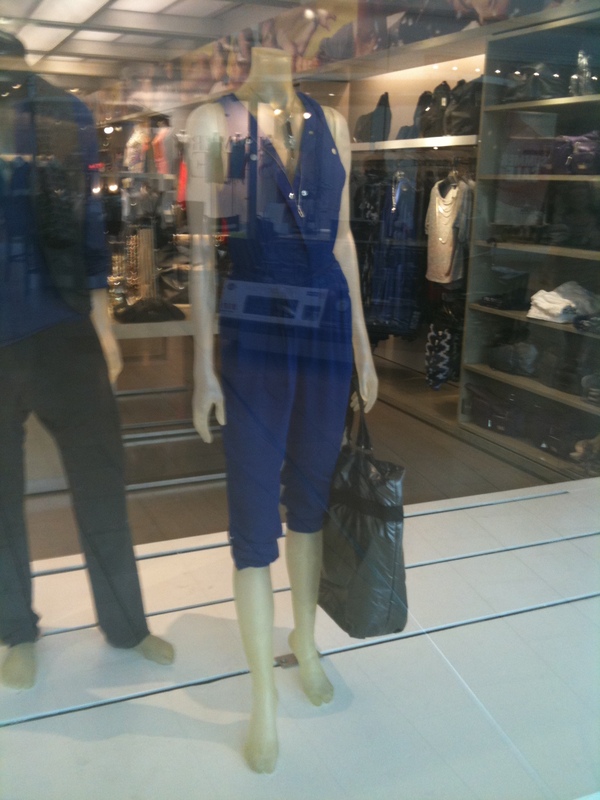 I am intrigued by how retail is going to spit out Klein for our glorious consumption and so since Klein blue has been everywhere, I found it best to give my new boyfriend, or stalker I might say, the forum that he needs to demonstrate that it’s not just Damien Hirst that can get mad web coverage, he’s still got it after 50+ years. 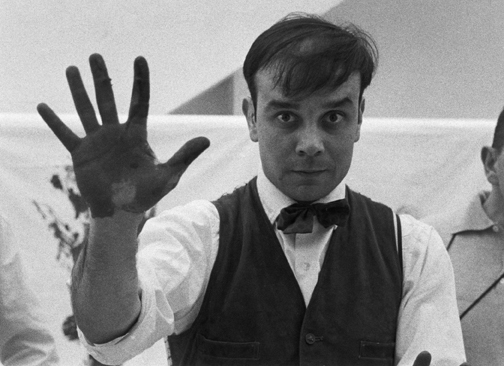 And so the remainder of this post are examples of Yves Klein. To get into the spirit of things, I thought I would include “Blue Rondo ala Turk” by Dave Brubeck. This is Klein-era music and, well, the name just fit too perfectly. If it looks pirate-related, do you think we could get product placement? Nordstrom, Level 1: Klein likes publicity just like the next girl and so when we walked down to Nordstrom’s shoe department, he told me that he worked with his friend Christian Louboutin (Parisian shoe designer and cause for maxing out credit cards around the globe) to make the Lissie shoe ($895). It’s pirate, swashbuckling feel could surely get placed in Pirates of the Caribbean No. 10, couldn’t it? I reminded him that, unfortunately, Damien Hirst and his Swavorski skull probably had that market cornered already. Oh well! Victoire! Contemplating the walk back to the car, I decided to head home. As I feasted on my dinner, thinking about Klein blue, I looked through Luxe Magazine and found that Yves had left me a note. Well, actually an article. Earlier this year, Lalique issued a sculpture, inspired by Yves, La Victoire de Samothrace. He just wanted me to know. Though my education as it relates to Klein began…oh…five minutes ago, I’m VERY excited that this is the “it” color for the season, because I. LOVE. IT! Way to call that one! Hi Susie! I use GoDaddy! Hope that helps! I must say you’ve done a fantastic job with this. Also, the blog loads super fast for me on Chrome. for export and all international as well as local and federal rules must be checked thoroughly while operating this business. Switching to synthetic oil can greatly increase the miles between oil changes.